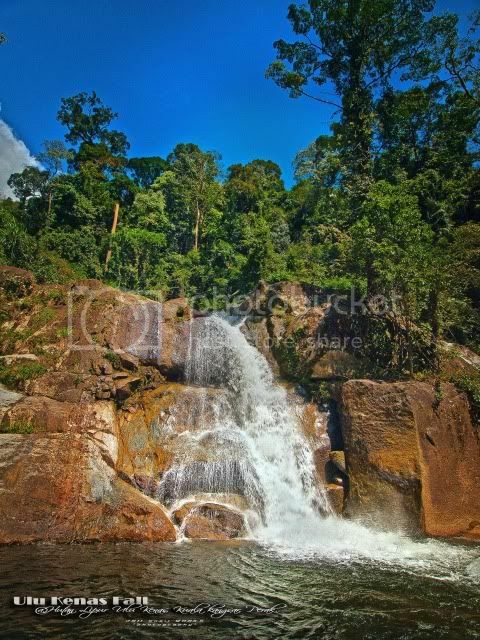 Lata Ulu Kenas, Air Terjun Ulu Kenas. 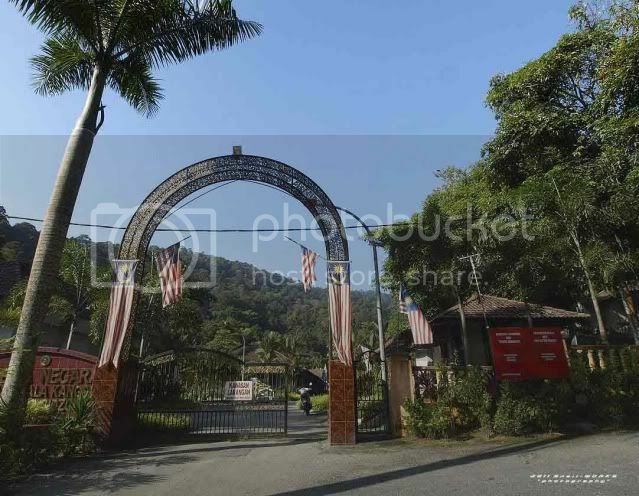 地点 Location Hutan Lipur Ulu Kenas, Kampung Ulu Kenas, Kuala Kangsar, Perak. 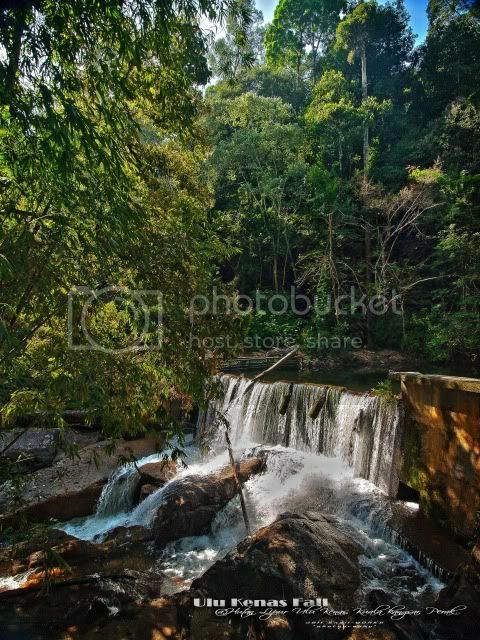 进入 Access Jungle trekking plus short river trekking. +/- 2.1km from Hutan Lipur Ulu Kenas. 水池/营区 Pool/Campsite 1st tier with deep swimming pool, 2nd & 3rd tier with dipping pool, campsite is available in the park. Easy access by normal car . 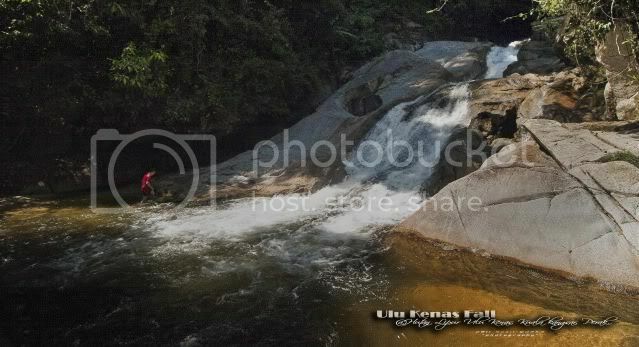 The Hutan Lipur Ulu Kenas is located within Bubu Forest Reserved, a popular mountain climbing destination of Gunung Bubu (1657m), and also a famous picnic spot. Sungai Kenas is the main attraction of the park. 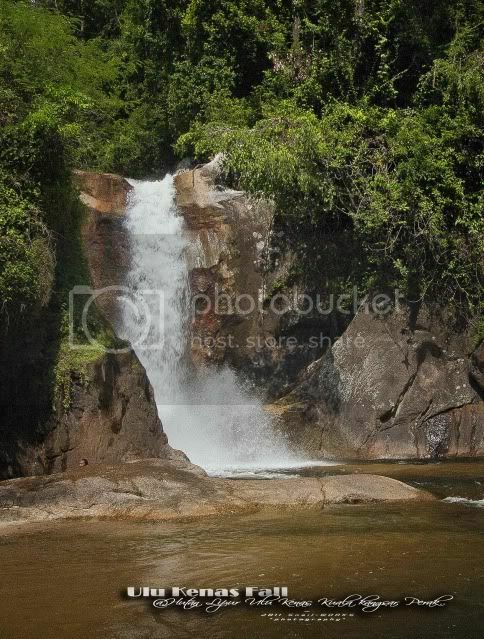 I always heard there is a waterfall in Hutan Lipur Ulu Kenas, but mostly their meaning is the picnic area. 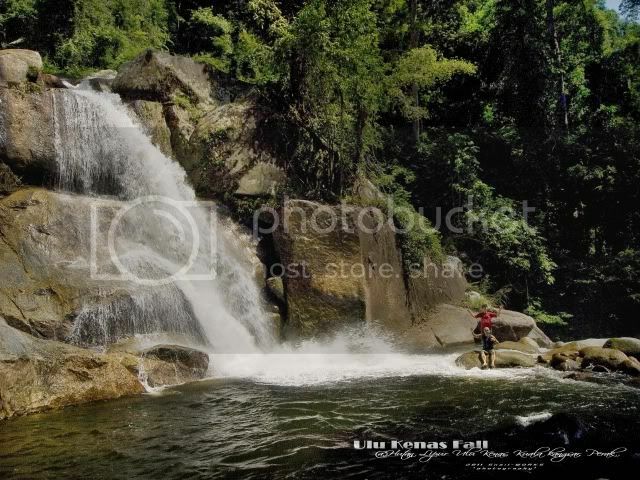 Before that our dearest waterfall king, Harry had recced the place, so today he'll be our guide to this mystery Ulu Kenas Fall. Kem Bina Negara near the trailhead. 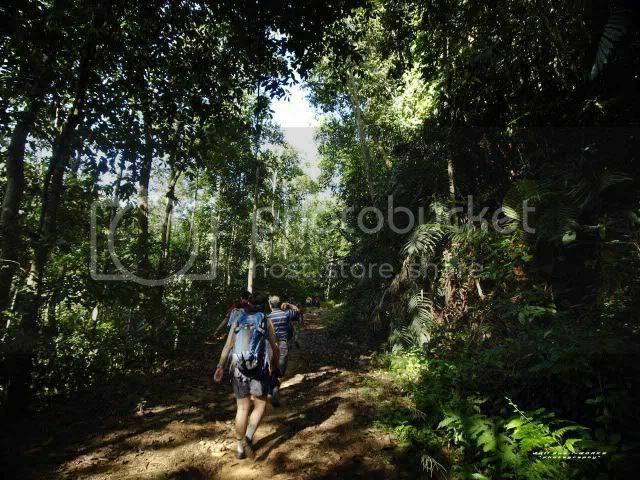 We followed the trail beside the Kem Bina Negara, which is lead to the Gunung Bubu. After a small generator room, there's a junction lead us to the river side. A small dam is there. We crossed the river and tried to search for trail to the lower of river. 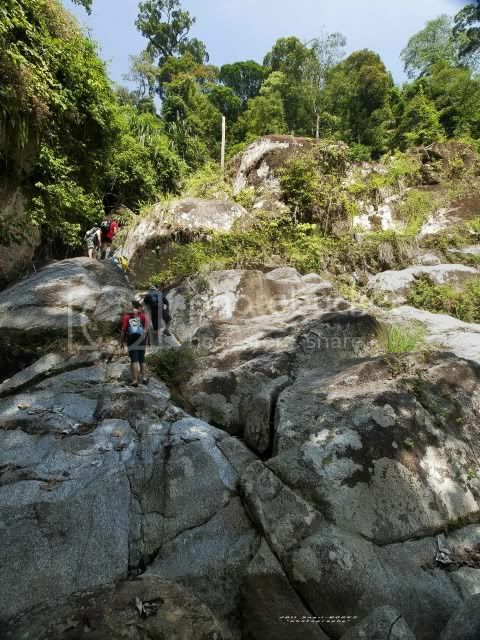 We srambled down a slope and reached 1st tier of Ulu kenas Fall. This round i try the other technique, fast shutter. After a rest, we scramble up the rockface to 2nd tier Ulu Kenas Fall. 2nd tier Ulu Kenas Fall. 3rd tier Ulu Kenas Fall. 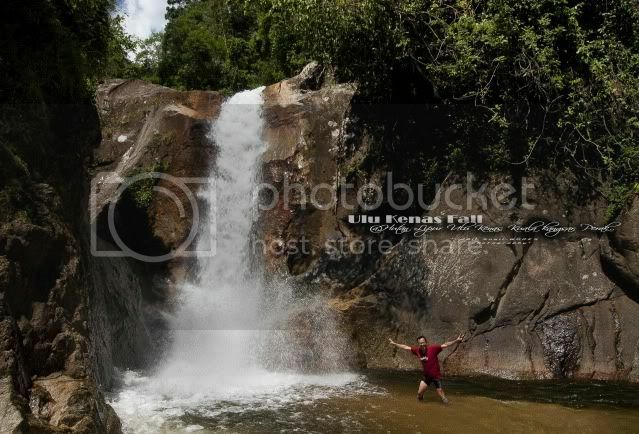 Have you been to the pristine Ulu Kenas Fall? 4-3-2012 we did not go up pechah batu 2nd.fall, we come to ulu kenas picnic area .the water is cold and brownish .i walk further up stream follow the fence(kem bina negara) at the LEFT side. the is a very small say 9" to 1 ft.track. i go only 100 to 200 ft. see some nice rapids.i am not alone, 3 group was here 3 to 5 in group. did not go the REAL UPPER FALL some one say it take 1 day, then he say 4 hours.i settle for a nice cold sock in the river today water is super cold ,fantastic. 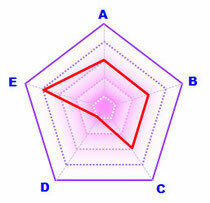 regular visits to this blog, every time I visit this blog affection discover new things. thank you very much for the information has been given.